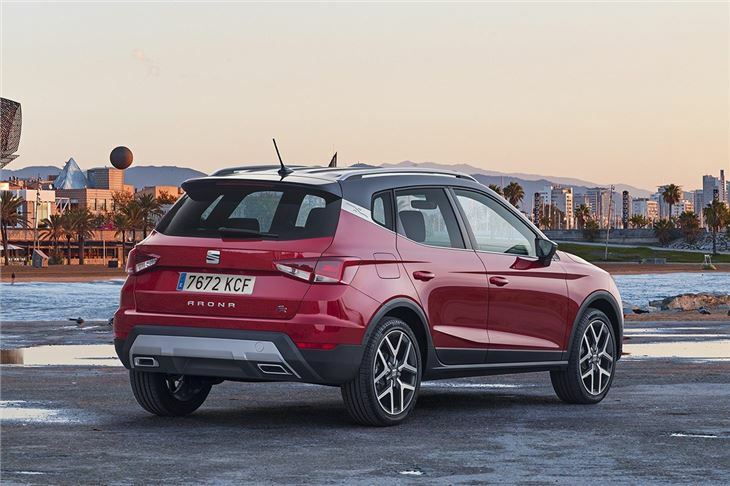 It’s like buses - you wait years for SEAT to make an SUV and then two come along at once. 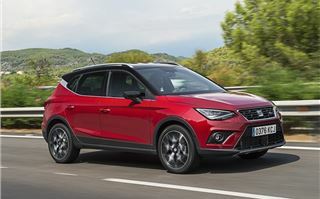 Say hello to the Arona, which is SEAT’s answer to the Nissan Juke and, on first impressions, one of the best compact crossovers around. It’s good to drive, well-made, practical and represents good value for money, despite what looks like a high starting price of £16,555. 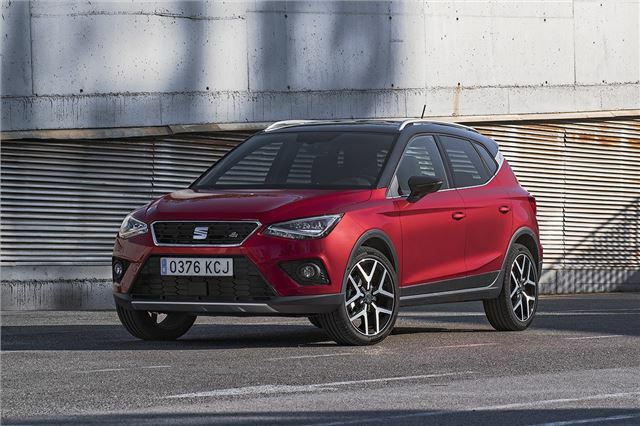 That value is largely down to the way SEAT has decided to sell the Arona. It has done away with options. Instead, you pick your engine, your colour combination and your trim level and that’s it. 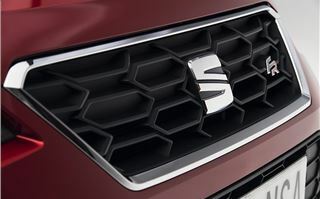 So everyone, as standard, gets to choose from the full range of stylish metallic, two-tone paint combinations without having to go for a pricey, top-spec car. You also get a decent amount of kit and convenience tech as standard. There’s a touchscreen system, DAB radio, Bluetooth, cruise control, alloy wheels and auto emergency brakes – although if you want Android Auto and Apple CarPlay support you’ll have to forgo the basic SE trim level and pick any one of the higher trim grades. It’s not all as simple as you’d hope, of course. 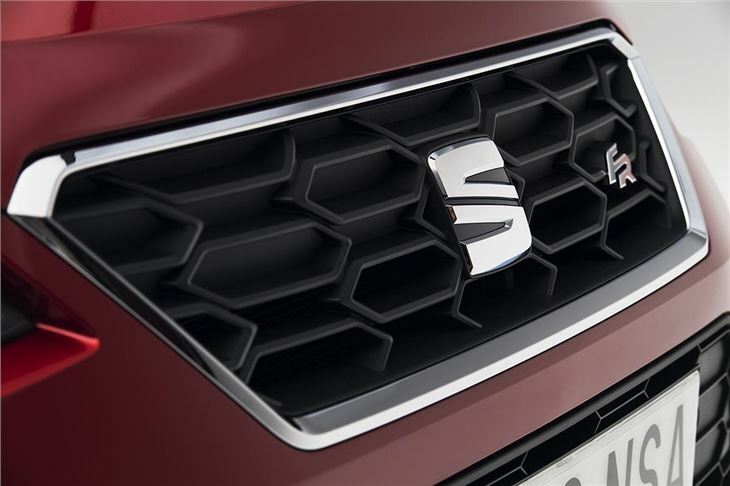 Certain engines are limited to certain trim levels and, to make up for there being no optional extras, there are more equipment grades than you’d expect. There are eight, in fact – in three distinct branches – SE, FR and Xcellence. Of those, the FR (and FR Sport) are expected to be the most popular. So that’s what we spent the most time testing, specifically with the 1.0-litre 115PS petrol engine. It’s the same engine used in various other Volkswagen Group cars and, despite its modest size, it’s surprisingly punchy and capable. It provides ample acceleration from a standing start or when overtaking, along with reasonable official economy of 57.6mpg. It’s quiet too, with barely any engine noise when cruising along at 70mph. 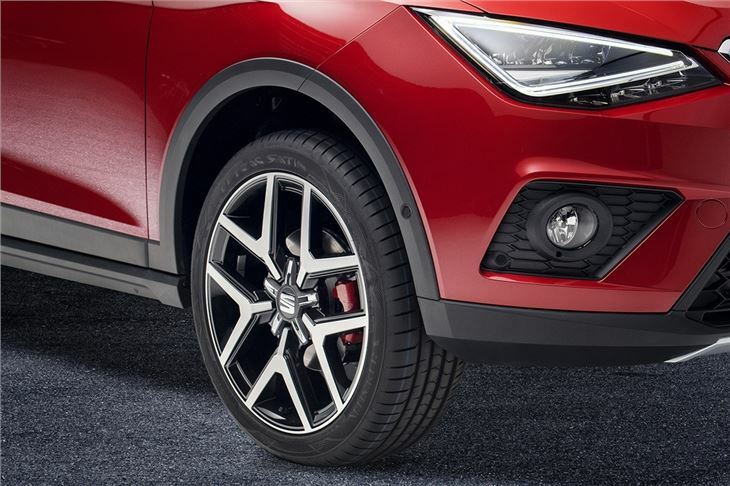 There’s little wind noise or tyre noise either, making the Arona an easy car to cover distance in. That said, the 1.5-litre TSI petrol is better still for motorway driving, thanks to its 150PS power output. Other engine options include a 95PS 1.0-litre petrol, and a 1.6-litre TDI diesel with 95PS or 115PS. On a B-road, the Arona manages to keep body roll in check through bends and sudden direction changes. 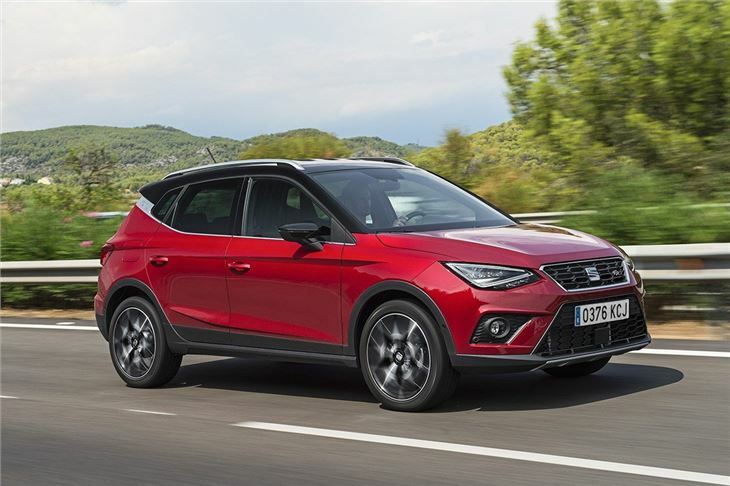 In fact, there’s barely anything to separate the handling from a lower, lither hatchback like the Ibiza – and yet ride comfort is good on the whole. It’s slightly on the firm side – especially in FR trim – but it’s never jarring or uncomfortable. The similarities with the Ibiza don’t end with the impressive handling either. From the driver’s seat the Arona has an almost identical layout and feel. 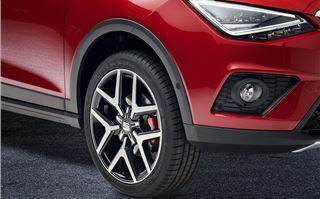 That means there are plenty of hard but durable and high-quality plastics, plus a layout for minor controls that’s very simple and easy to get used to, including a slick and responsive touchscreen system. The cabin is sensitive to the colours you choose though. The few elements that can be customised, like the inlays in the doors and dashboard, benefit from a brighter colour, else the cabin can look on the drab side. That’s not the only criticism - it’s also a bit tight for middle row passengers in the back, with a big central floor tunnel that removes any foot space. 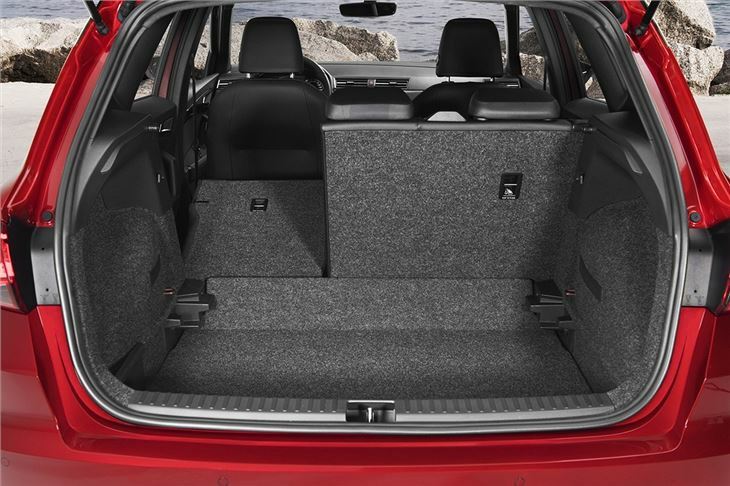 On the plus side, the outer rear seats are spacious enough for adults, with ample leg and headroom- unless there are some particularly tall occupants up front. The boot, too, is impressive. It gets a two-layer floor so you can hide odds and ends out of sight, plus there is a flat, wide load area with enough space for family days out and shopping. 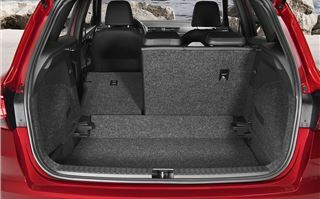 Total capacity is 400 litres with the seats in place - although that's less than a Renault Captur. Unless you pick the basic SE model (which gets a simpler, 5.0-inch screen) you’ll get a big 8.0-inch colour touchscreen. This comes with Android Auto, MirrorLink and Apple CarPlay, meaning you can use your own navigation apps, music streaming and other smartphone functions via the car. You also get a wireless phone charging pad, navigation and a phone signal antenna. 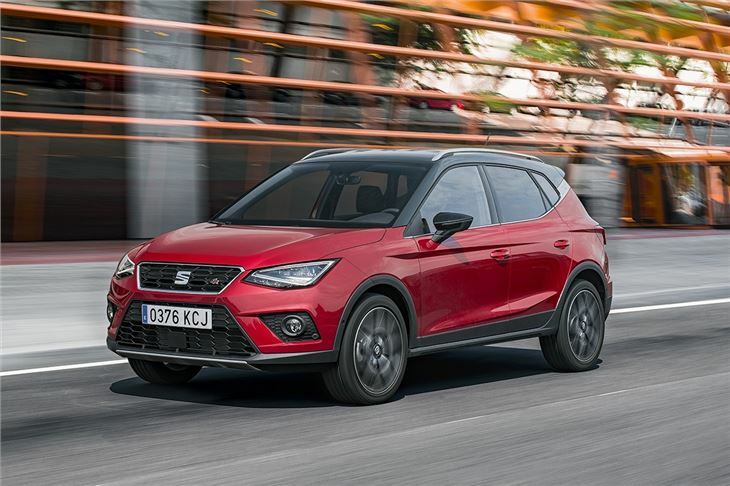 The SEAT Arona is a crossover that impresses. True, it is more expensive than a Renault Captur or a Nissan Juke, but the extra money gets you more equipment and, quite frankly, a better car. 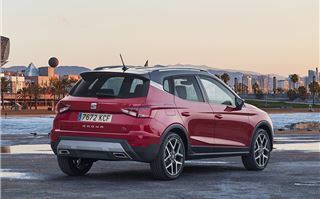 It’s quite possibly the best small crossover on sale – though there are still some important rivals to consider, like the Hyundai Kona and Volkswagen T-Roc. 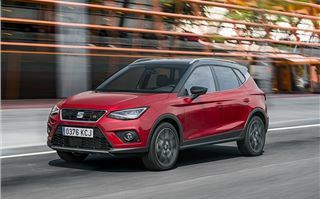 The SEAT Arona is available to order now.